Do You Know What to Do After a Motor Vehicle Accident in New York City? Automobile accidents are frightening and confusing. But the moments and hours immediately after a traffic accident can be critical if a lawsuit or other action results. 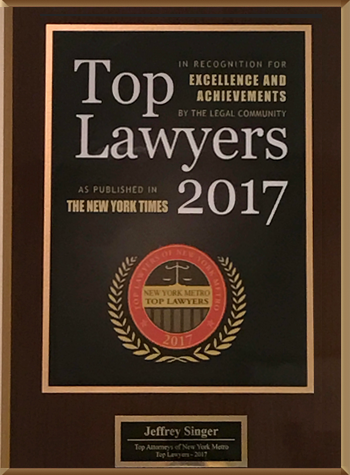 If you are involved in a traffic accident, heed some advice from the New York City personal injury lawyers at Segan, Nemerov & Singer, PC. Every driver should understand and follow certain guidelines if involved in a traffic accident. These steps may be essential if you need to seek compensation through the legal system following your accident. Call for help. Ensure all injuries are promptly addressed. Even if the accident is minor, serious injuries may have occurred. In serious accidents, the chances of life-threatening injuries increase. Call 911 to get medical attention for the injured and summon police. Collect information. Take down insurance information, contact information, license plates and other information for everyone involved, including witnesses. Even though New York is a no-fault insurance state, this information may prove crucial. Make special note if someone is driving a car not insured in the driver’s name. Collect evidence. Take digital photos of all damaged vehicles, license plates, all visible injuries and the accident site. Be sure to retain all damaged property. Make sure you obtain a copy of the police report and save all records of medical treatment and expenses. Also, take notes about what happened before, during and after the accident, including any statements you heard others make and anything you said. Your notes can provide key information for your New York personal injury lawyer. Do not discuss the accident with anyone and do not admit fault, particularly to insurance adjusters. Questions abound after any traffic accident. Should I contact the police? Yes, even if you think you may be at fault in the accident. There may be factors in the accident of which you are unaware and a police report can be essential evidence in an insurance claim process or legal action. Should I see a doctor? Yes. Even minor car accidents can cause serious injuries and symptoms of those injuries may not present immediately. Also, any delay in seeking medical attention increases the chances of an opposing attorney arguing that your injuries were not caused by the accident. Should I consult an attorney? Yes, even if you do not plan to bring a legal action, you may not be aware of all of the laws related to your case. You also have no control over whether or not anyone else involved in the accident will bring a lawsuit against you, so you should be prepared for any development. Too many accident victims assume that no-fault insurance requirements leave you with no recourse when someone else causes an accident. The experienced automobile accident lawyers at Segan, Nemerov & Singer, PC can help determine the next steps to recover compensation. 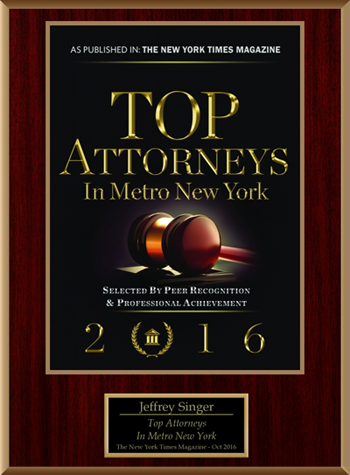 Contact us today online or at (212) 696-9100 today to arrange a free initial consultation.